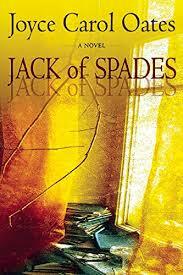 Jack of Spades is a quirky and wonderfully written psychological thriller by one of America’s greatest storytellers. Andrew Rush is a best selling author and enjoys all the trappings that go along with his achievements. But he also writes very dark and disturbing fiction under the pseudonym “Jack of Spades.” But is Andy really Andrew or is he Jack? The lines are blurred and when he is sued for plagiarism by a local woman, who herself is an odd character, the pressure mounts and Andrew begins behaving oddly himself. His external struggles with family and friends pale in comparison to his percolating internal struggles. This story will grab you quickly and not let go. Thanks for this review. I always love Joyce Carol Oated’s books and hope my readers will too.